Matthew Burke is well regarded as one of the finest Rugby Union players in the world. 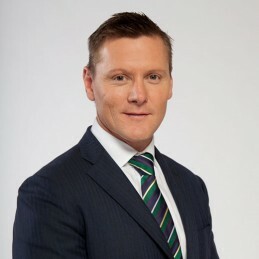 Playing a total of 81 Tests for the Wallabies and scoring a total of 878 points, Matthew was instrumental in Australia’s 1999 World Cup victory. That same year, a panel of experts named him the best fullback in Australia’s history. Since his Australian debut in 1993, he became one of the best backs the game has seen, playing in the preferred fullback position but also wing and outside centre. He was a proven and ever reliable goal-kicker. On field Matthew was known for his skill and leadership but also a sporting role-model off it. Matthew is a charismatic and articular speaker who covers topics of peak performance and team building.